The Best New York Sightseeing Packages for Less. Guaranteed! Complete NY sightseeing packages at your fingertips. Book your tickets today! Includes 3 days of unlimited rides on Gray Line City Sightseeing New York double-decker bus tours of Downtown, Uptown, Brooklyn & Bronx! The New York City Explorer Pass offers a wide variety of up to 10 tours and attractions to choose from. With bus and boat tours covering the city from every angle, you'll have an ideal point of view. See New York City from its most magnificent view point on the Empire State Building Observation Deck and continue your sightseeing from the water. Includes 2 days of unlimited rides on Gray Line City Sightseeing New York double-decker bus tours of Downtown, Uptown, Brooklyn and Bronx. Thrilling, exciting and adventurous ways to experience and admire New York City. 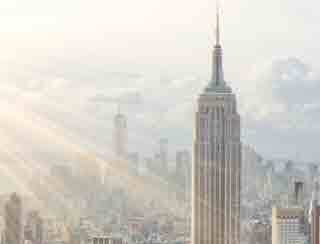 New York Sightseeing and Attractions. Exclusive selection of the best value packages. Contact our concierge service for VIP assistance with all your sightseeing needs. Copyright © 2019 - USTravelShop.com. All Rights Reserved.